AMI Insurance is celebrating 80 years of service in New Zealand with a campaign focused on the smile. Interestingly enough, the ad focuses on women as the ones who must cope with the disasters brought on by the males in their lives. 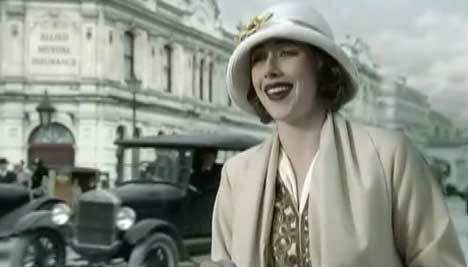 The TV ad at the heart of the campaign is “Keep Smiling”, in which a woman sings through the decades, encouraging her sisters in suffering to smile through their fear and sorrow. The spot opens and closes with the classic movie scenario of luggage left on the top of a taxi. The AMI Keep Smiling ad was developed at DDB New Zealand by executive creative director Toby Talbot, copywriter Martin Brown, art directors Darran Wong Kam and Clara Mclaurin. Filming was shot by director Darryl Ward via Curious Film, NZ, with producer Matt Noonan, director of photography John Toon and editor David Coulson. The song ‘Smile’ was originally used in the soundtrack for the 1936 Charlie Chaplin movie Modern Times. Nat King Cole made the song popular in 1954.